"Beauty beverages" have flooded the market in recent years, promising to transform humble water into a powerful anti-aging, skin perfecting potion. But here is something that really works and doesnt let you down. 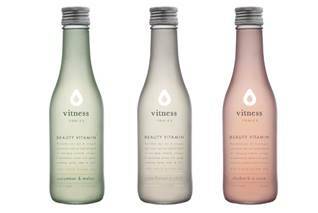 Vitness Beauty Vitamin drinks are naturally low in sugar, with four to six grams per serving, and just 46-54 calories in every 250ml drink. They are lightly sparkling to speed up the absorption of its bioactive ingredients for smoother, hydrated and more radiant skin with every sip. The drinks are also brimming with essential nutrients, including zinc and selenium, and 50% of your recommended daily allowances of vitamin C and E, which all help to fight free radicals in the body, whilst protecting and repairing against oxidative damage caused by UV and pollution. Essential nutrients and a potent mix of natural botanicals, including rose, chilli and melon, work to nourish and restore both the body and skin. The range is made in Britain from ethically sourced ingredients. Chilli. Available at your nearest harvey nichols from early march.